Nick Earls writes what he knows. He's obviously learnt a few new things in recent years. 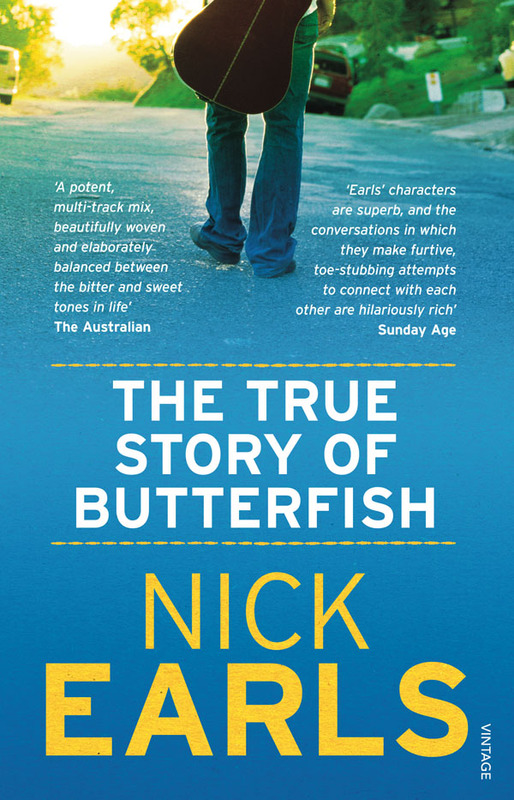 The True Story of Butterfish introduces a new protagonist: rather than a member of the medical fraternity, Curtis Holland is a former rockstar. He's producing albums now and divides his time - and technical descriptions - between music software and cooking. All familiarity is not lost, however. He lives in Brisbane. He has a persistent internal monologue. He's nervous around women, finds himself in unexpected and awkward situations, but has pop-culture funny lines at the ready. I enjoy Nick Earls' novels. He writes genuinely amusing scenes, and underpins them every now and then with worthwhile bigger-picture musings. He's whimsical, sure, but there's a philosophy to his writing as well. And plenty of authors use their hometown as a touchstone or motif, so why can't Brisbane play that role? And you really have to hand it to Earls for the aspirational quality of his work. In an earlier novel, his protagonist - in his thirties - admits that he'd only very recently given up serious hopes of playing cricket for Australia. His male characters (eventually) always ending up liking the girls who like them back, and who can give as good as they get when it comes to those pop-culture-laden one-liners. The protagonist in Butterfish played keyboards in a hugely successful rockband, and while the lead-singer has stayed true to the party-hard stereotype, Curtis remains the deep thinker, enigmatic, moody, lonely. All that fame has led him back to the Brisbane suburbs, and the happy fortune of moving in next door to a woman he comes to fancy (the aspiration works for her too - a highly recognisable rockstar moves in next door and they hit it off). Some of the early scenes focus step-by-step on the process of making music, namedropping software and techniques. Then Curtis starts to cook, and it happens all over again in the kitchen. But once he really gets to know the family next door - and develops surprising relationships with mother, daughter and son - and the lead-singer returns to face family issues, the book gets stronger. Earls isn't scared to give us an overweight, almost-forty protagonist who is hard on himself and full of regret. True to form, however, his character finds redemption in new beginnings, new relationships and new choices. Butterfish is more thematic than many of Earls' earlier novels. Its resolution doesn't come from neatly tied-up plot points, but rather from Curtis accepting his past, his choices, and how his actions affected others' choices.